Buy cheaper thanks to our Human Hair Extensions Online coupons! Human Hair Extensions Online have the largest range of quality hair extensions in Australia. We not only supply our A+ Grade Indian remy human hair extensions to retail clients we are also stocked in 100's of hair salons around Australia. We offer unmatched customer service and post our orders every business day! We offer a wide range of high quality 100% real human hair extensions in various styles and affordable prices. Customers get overnight delivery anywhere in Australia. Human Hair Extensions Online is the leading online hair extension shop in Australia! We stock the most comprehensive range of high grade remy human hair products. 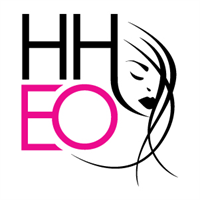 Buying online with HHEO is simple with our clean cut, user friendly, straightforward website that is also mobile-optimised. Our staff are industry experts who can guide you to getting the best set of extensions for your hair type & lifestyle.